The Retail Customers’ Bill of Rights. Here we go; Holiday Shopping Season. Black Friday, Cyber Monday. This is the 25-day period when retailers earn their net profit for the year and consumers do most of their buying. Before the gun goes off this Thursday at midnight (and even before) let’s take a brief look at what customers should demand in the post-recession economy. There are more retailers and fewer customers than any time since the early 1980’s according to industry expert Mark Ellwood, author of Bargain Fever; How to Shop in a Discounted World. That means you have more choices and retailers have to get it right. The margin for error- literally and figuratively- is razor thin. A well-run retailer is doing well to earn 1% net profit on gross sales after all expenses at the end of the year. Also, this year, the holiday shopping season is unusually short, only 25 days, because of Thanksgiving’s proximity to Christmas on the calendar. 1. You should be treated as a Lady or Gentlemen. You’re giving away hard-earned money at the end of the worst recession in history. You’re not a number, not a commodity. You’re not easily replaceable. Life long retailer and founder of the quirky, niche specialty retailer Harry’s Army Surplus in Dearborn, Michigan, Irv Zeltzer, said it best, “Every dollar has 100 cents”. To earn that precious 100 cents retailers should treat you with respect and reverence. Retailers should value you. 2. You Deserve to be Waited On. Remember when clerks waited on you? Good service means there are employees or well-designed online resources to find out information and help you with buying decisions. This is a key feature since it adds value and savings to a purchase by reducing costly errors and returns. Your time is tangibly valuable. A sales associate or web resource that helps you make a faster, wiser purchase saves you time, and time is money. Smart retailers also know good customer service reduces returns and adds to sales and profits. 3. You Deserve Honesty and Openness in Pricing. There are a lot of pricing shenanigans this time of year, triple and quadruple mark-downs, fine print, weird return policies, coupons, membership buying. Straightforward pricing is a key tool to understanding the value of a purchase. Beware of convoluted pricing schemes. Remember, the time it takes you to figure out if a deal is any good just cost you something more valuable than money; it cost you your time. 4. You Deserve Good Service After the Sale. 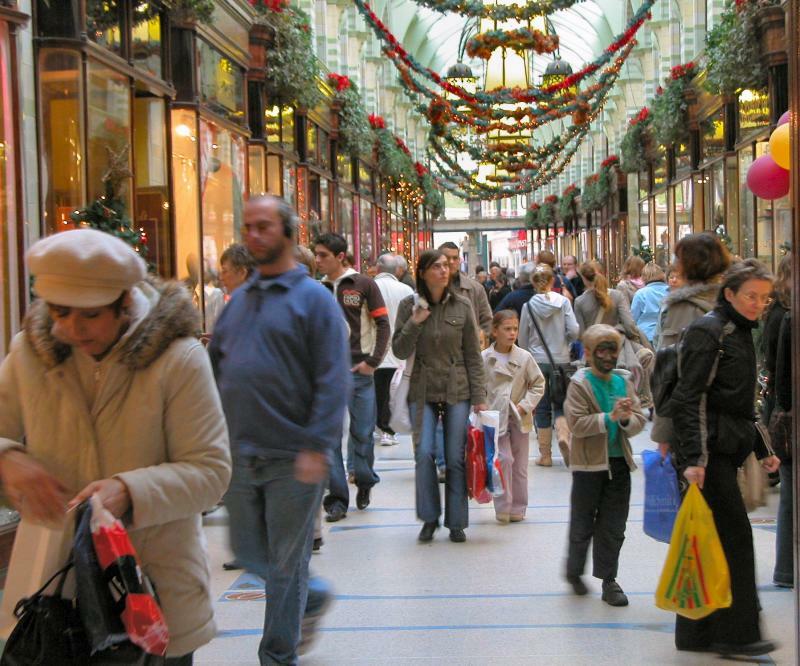 Retailers should do “back end” planning for their post-holiday returns and customer service. The staff should know the policies and be empowered to make decisions. Lines shouldn’t be long and waits to make returns should be short. Retailers have a great opportunity to retain customers and earn new ones with great service after the sale. They need to get this right. It will bring in customers during the other 345 days of the year. Customers fall into a trap of using price as the measurement of quality in a retail transaction. Good value is about more than markdowns and low prices. If you are focused on what you deserve as a customer before you line up on Friday morning you’ll have a better shopping experience this season.